Sandy West Memorial Flyer - 2006. 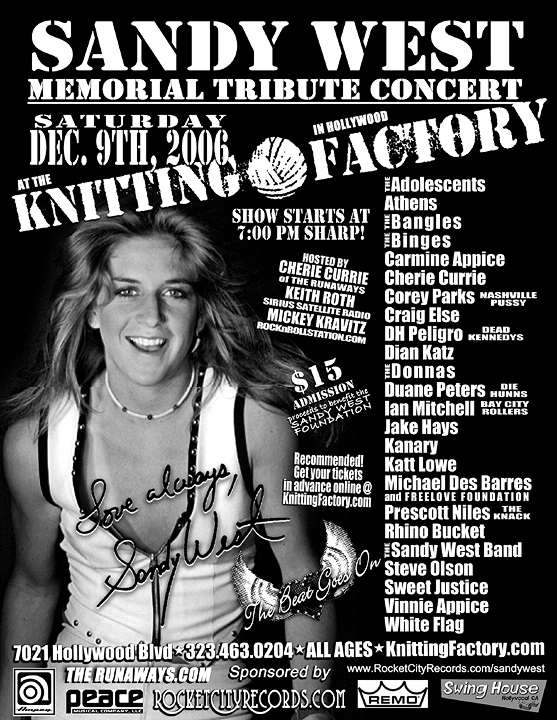 Flyer for the Sandy West Memorial Tribute concert in 2006. HD Wallpaper and background images in the Les Runaways club tagged: the runaways image picture sandy west flyer memorial 2006. I love Sandy West's music! The world lost a ray of sunshine when she was taken from us.